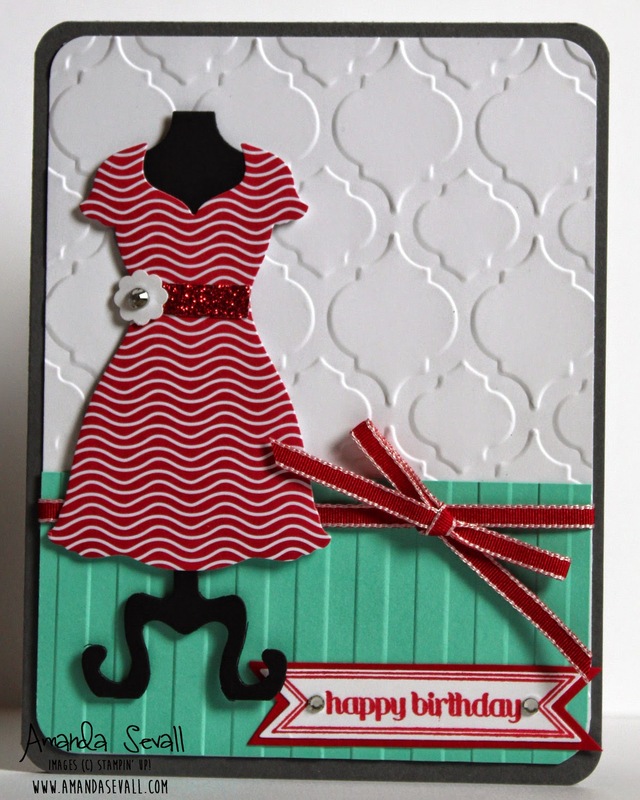 Amanda Sevall Designs: 365 Cards: A Dress-y Happy Birthday! 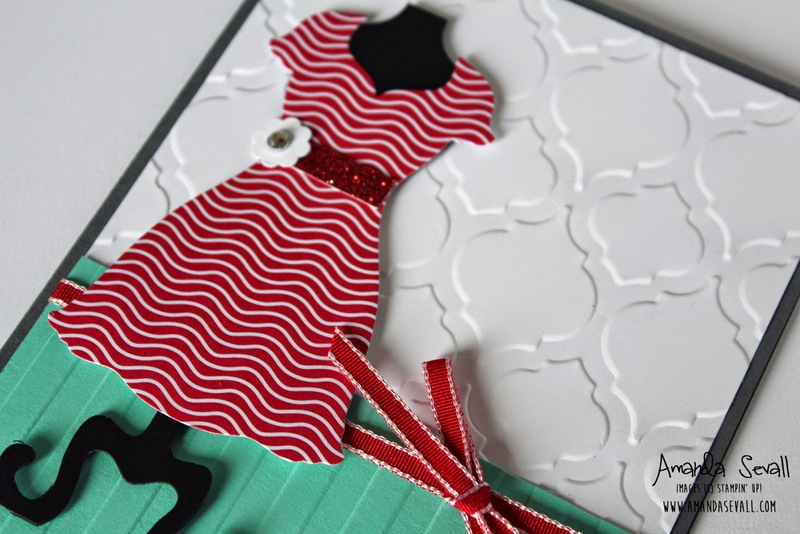 Back today with another fun card using the Dress Framelits! This one is a bit less complicated than the Snow White card of yesterday! :) Just a simple cutting out of patterned paper -- the dress practically made itself! What do you think of these dresses? I can see why you love this die set! So many possibilities!